In "Killing Mr. Hyde", a former Wall Street trader descends into the abyss of alcoholism and loses everything valuable in his life. Finding his way back from the gates of insanity and death was not possible without God's help. In this striking narrative, Michael Lassman does a superb job of defining a complex spiritual malady responsible for creating a host of unwelcome character defects that were preventing him from recovering. Over time, Lassman finds himself becoming less and less of the person God intended for him to be and more and more of a dangerous and delusional alcoholic. At the end of his rope, he finally embarks on an introspective journey and process that allowed God to eliminate the deficiencies in his life that were perpetuating his alcoholism and destroying everything dear to him. 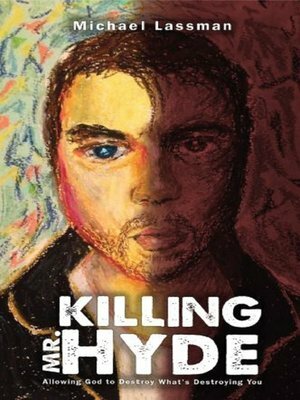 "Killing Mr. Hyde" masterfully breaks down and identifies the relational blockage that exists between God and ourselves and offers insightful, practical solutions to eliminating the things in our souls that are keeping us sick. The true and personal stories interwoven throughout this book are carefully crafted, relevant, and will resonate with anyone struggling to fight their own demons. You'll laugh, cry, and be amazed as a seemingly hopeless situation transforms into a redemptive journey back to sanity and a chance at new life.